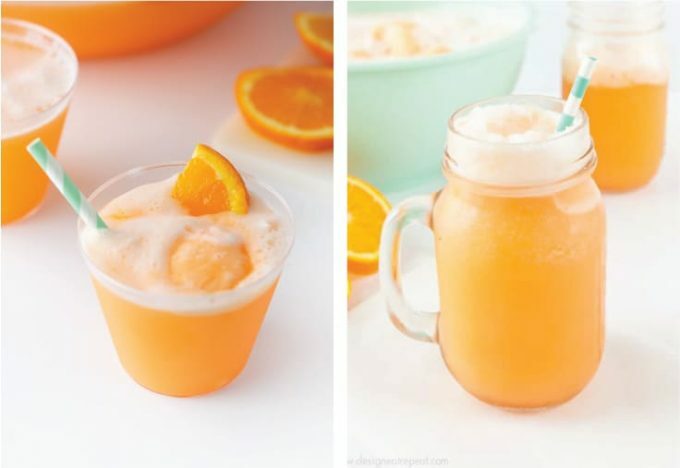 Whip up a batch of this Orange Sherbet Punch in less than 15 minutes! Perfect drink for summer parties, Halloween or just for a refreshing treat! Made with sherbet ice cream, soda, and sparkling water. Sherbet punches are one of my favorite festive drinks to make because they are packed with flavor and only require a few ingredients. And better yet, they are perfect for any time of year. 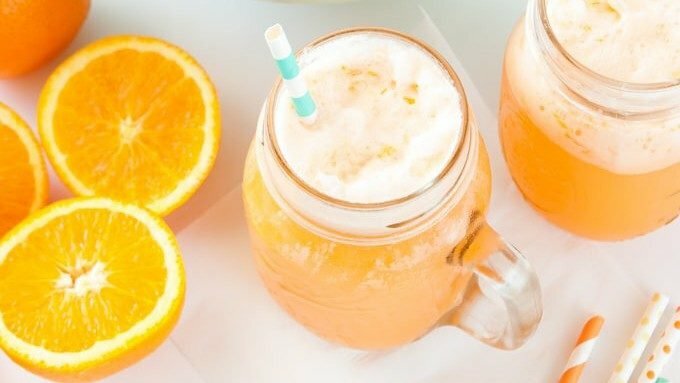 While our family makes Raspberry Sherbet Punch each Christmas Eve, this refreshing Orange Sherbet Punch is the perfect drink for those hot summer days, Halloween parties, or baby showers! 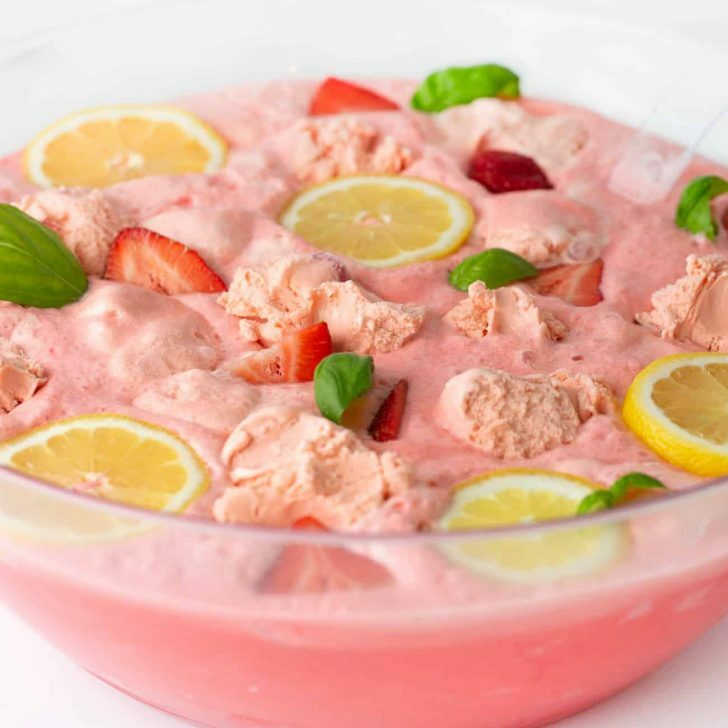 For a crowd, scoop the sherbet ice cream into a large punch bowl (or large pitcher). If making for a party & wanting to impress, set aside half of the scoops, cover with plastic wrap, and freeze in a metal cake pan until you’re ready to serve. This will give the punch bowl that signature sherbet punch look (since the scoops will float) and also help the punch stay frozen longer. 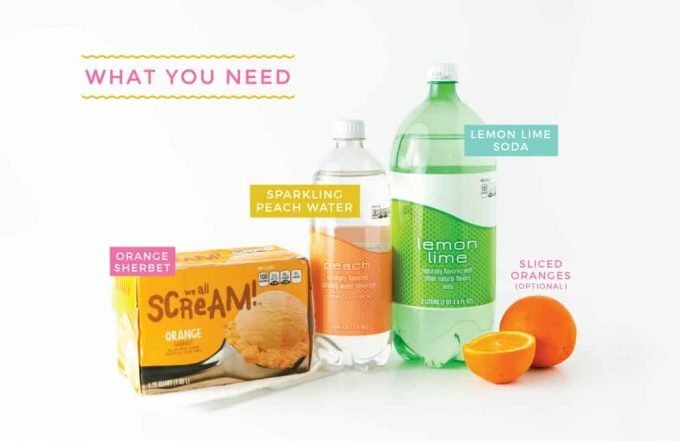 Tip: To create individual servings, simply scoop 2-3 scoops of sherbet into a cup or mason jar using my DIY punch bar method then pour the soda and sparkling water on top. Pour in lemon lime soda and sparkling water and stir. You will need to use the spoon to break apart the sherbet scoops to help them melt down and incorporate into liquid form. 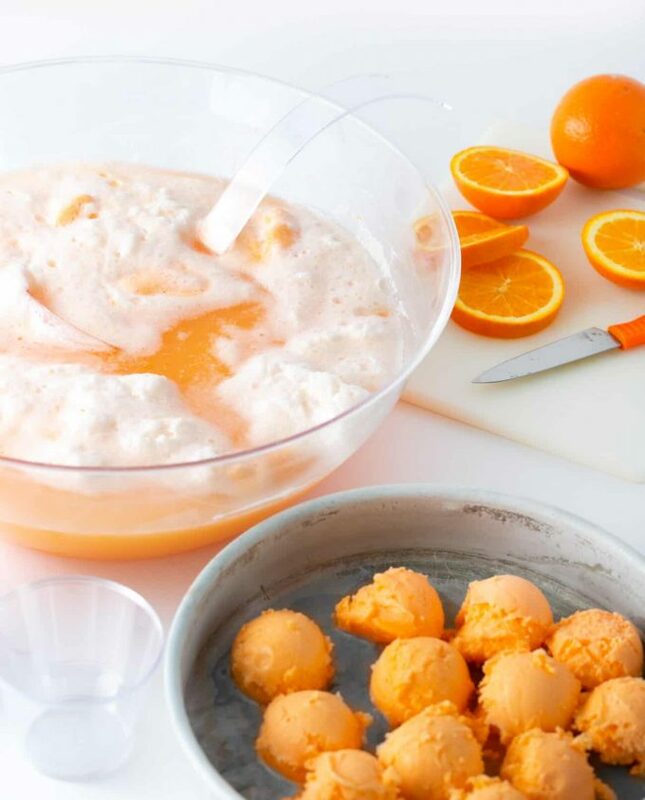 For a picture-perfect punch bowl, gently place the reserved sherbet scoops and the orange slices on the top of the liquid so that they float. Allow each guest to serve their own by placing 9oz cups or mason jars next to the punch bowl. For a fun touch, serve with colored paper straws and drink toppers (scroll for some Halloween drink topper ideas!). 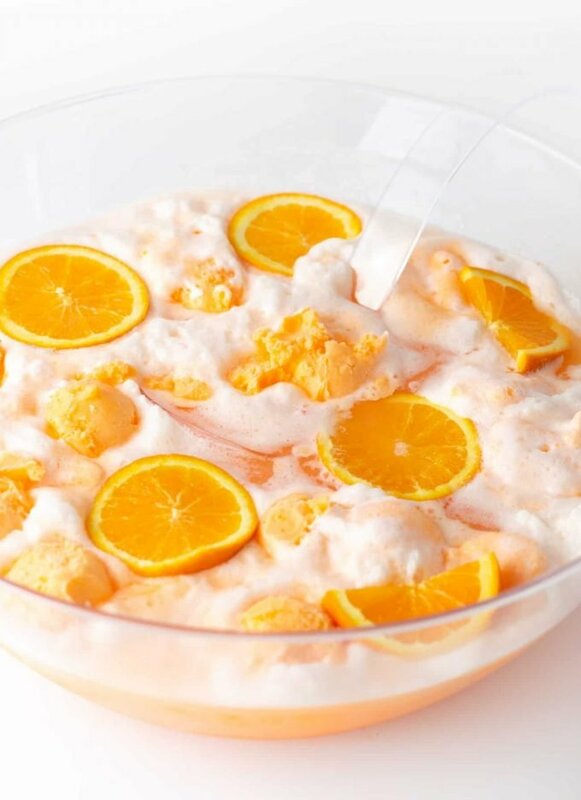 For more Halloween projects & recipes to pair with this orange sherbet punch (eyeballs, creepy/cute faces, monsters, oh my! ), pop on over to my Halloween Library. 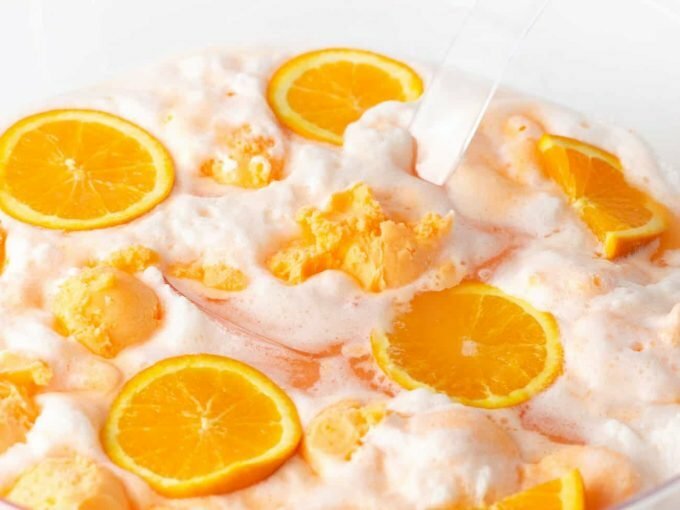 Last year, I posted Watermelon Sherbet Punch with eyeball drink stirrers, so this orange sherbet concoction is the newest addition to the Halloween sherbet punch collection. I don’t like orange. Do you have other variations of sherbet punch? Sure do! My raspberry sherbet punch is a family favorite and the perfect punch for a crowd. 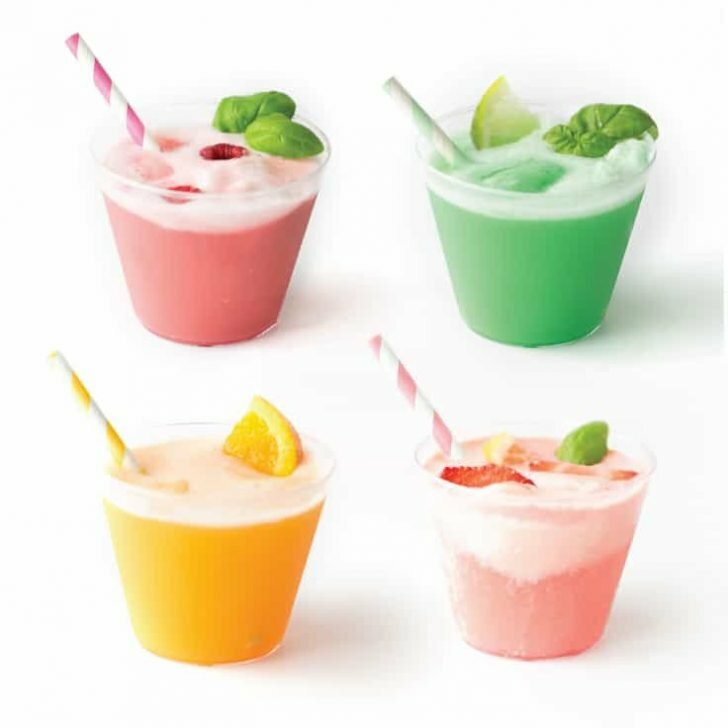 I also have a delicious lime sherbet punch or strawberry sherbet punch that are favorites to make around Halloween, Christmas, or baby showers since they have a festive green and pink color. In my DIY punch bar post, I also have different flavor ideas using a variety of sparkling water. What brand of lemon lime soda soda do you recommend? We typically use Diet Sprite but you could also use Regular Sprite, Sierra Mist, 7 up, or basically any generic brand of lemon lime soda. Can I add alcohol to sherbet punch? I haven’t personally tried this yet, but I would imagine some type of sparkling champagne would go well with any of my sherbet punch recipes. Can I Freeze Leftover Orange Sherbet Punch? 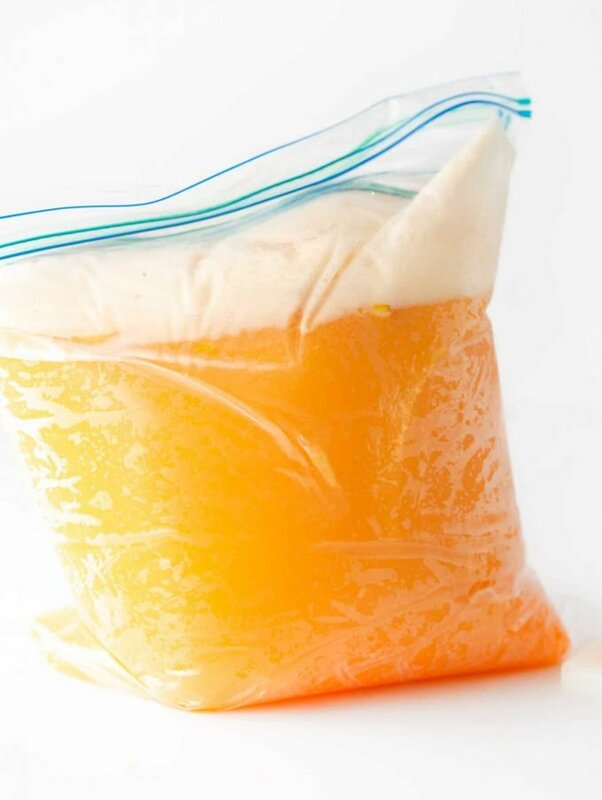 If you have any leftovers, pour it into a gallon-sized freezer bag (remove any air) and place in the freezer. When ready to use, allow the mixture to slightly thaw before pouring it into a punch bowl or pitcher. Since the mixture will likely have been melted down when you froze it, it won’t have that same frothy & fizzy texture as it originally did. 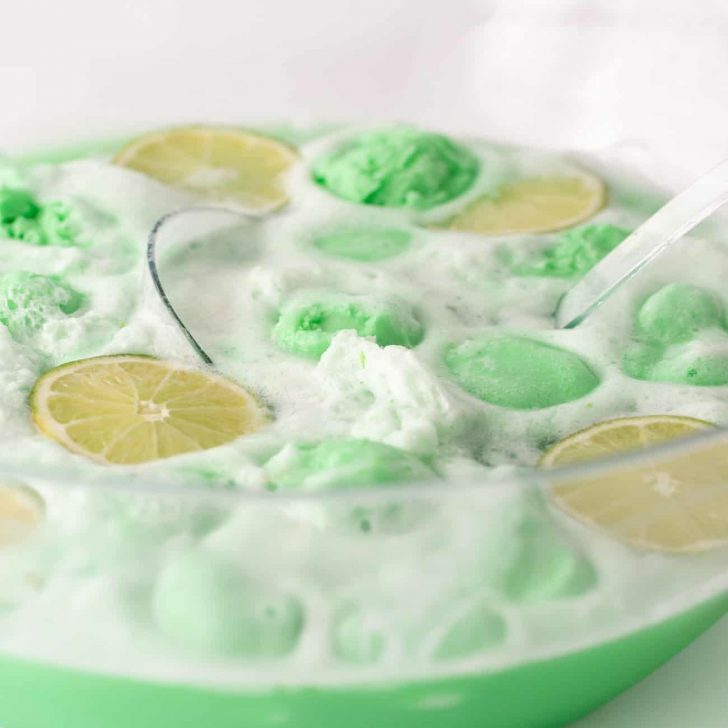 But you can add more sherbet and lemon lime soda to help revive it back to it’s original state. 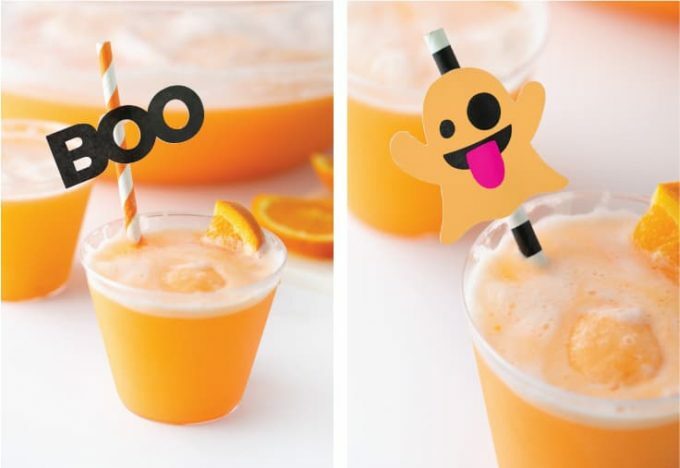 Where Can I Get Those Cute Halloween Drink Toppers? 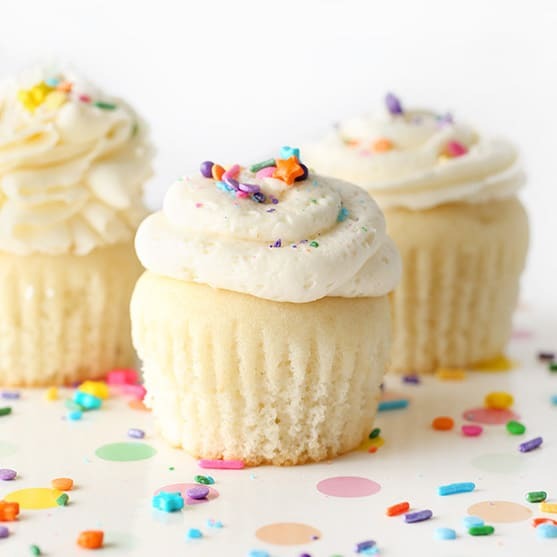 Since this is DESIGN Eat Repeat after all, pop on over to the posts for BOO Printable Drink Toppers or Ghost Emoji Drink Toppers to download those printable toppers. 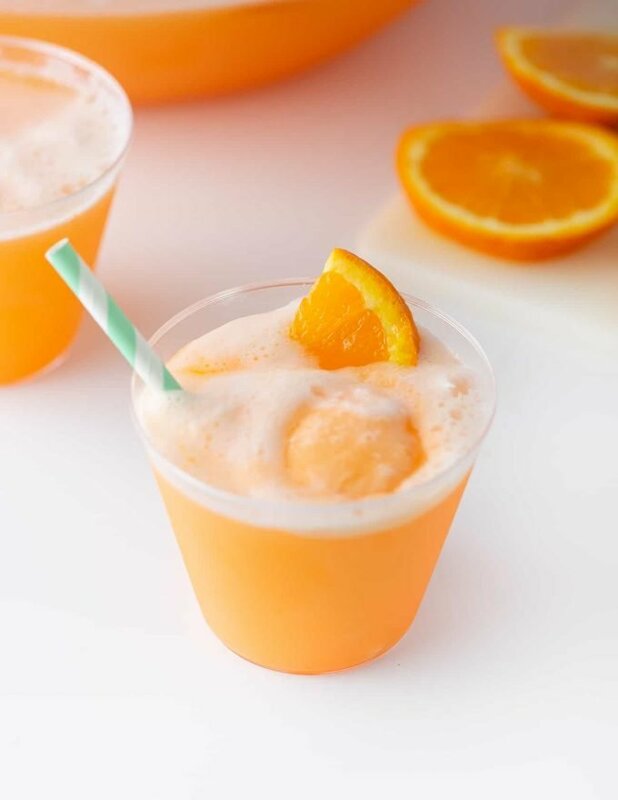 An easy & delicious orange punch made from sherbet ice cream, lemon lime soda, and sparkling water. 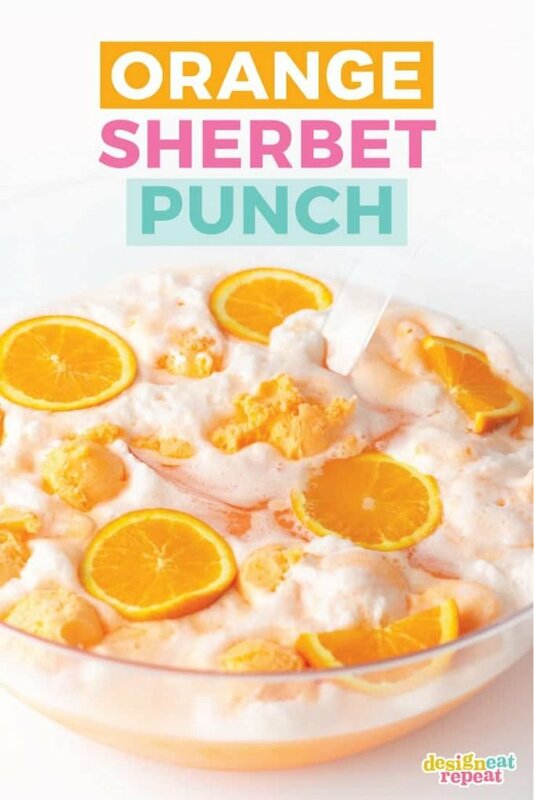 For a crowd, scoop the sherbet ice cream into a large punch bowl (or large pitcher). 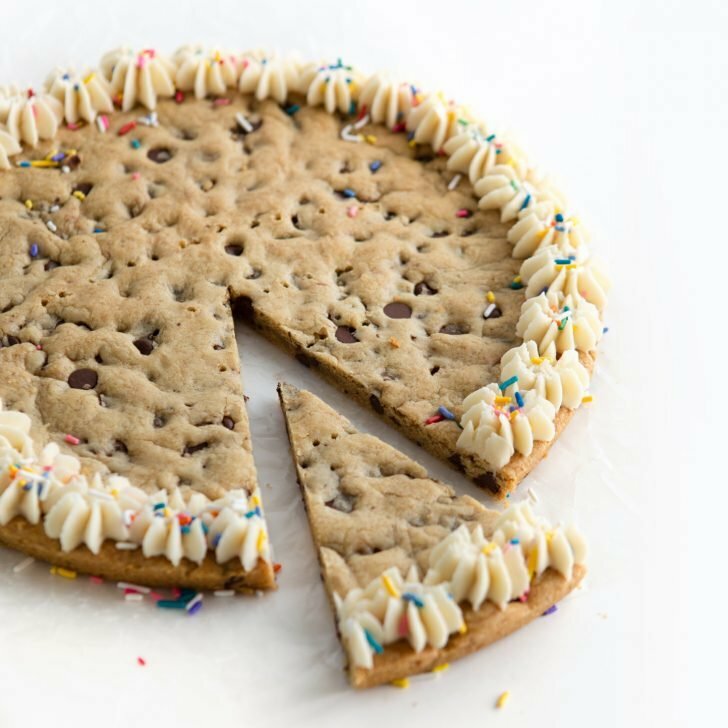 If making for a party & wanting to impress, set aside half of the scoops, cover with plastic wrap, and freeze in a metal cake pan until you’re ready to serve. This will give the punch bowl that signature sherbet punch look and help them stay frozen longer. When ready to serve, add together half of the orange sherbet scoops, peach water, and lemon lime soda to a large punch bowl. Stir punch for a few minutes until sherbet starts to combine with liquid mixture. 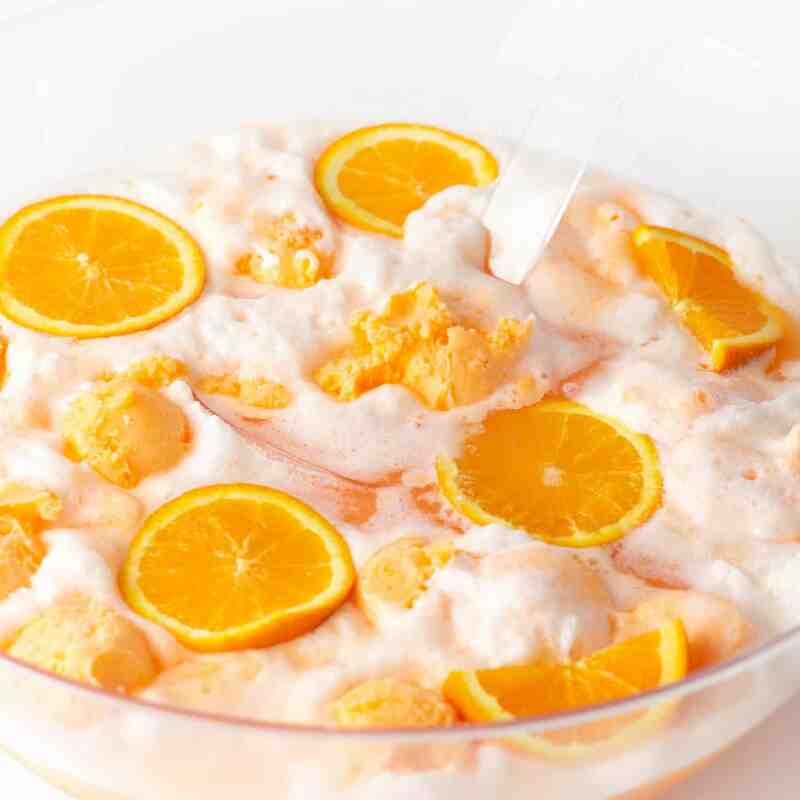 Once combined, top with remaining sherbet scoops and sliced oranges (optional) it’s ready to serve! 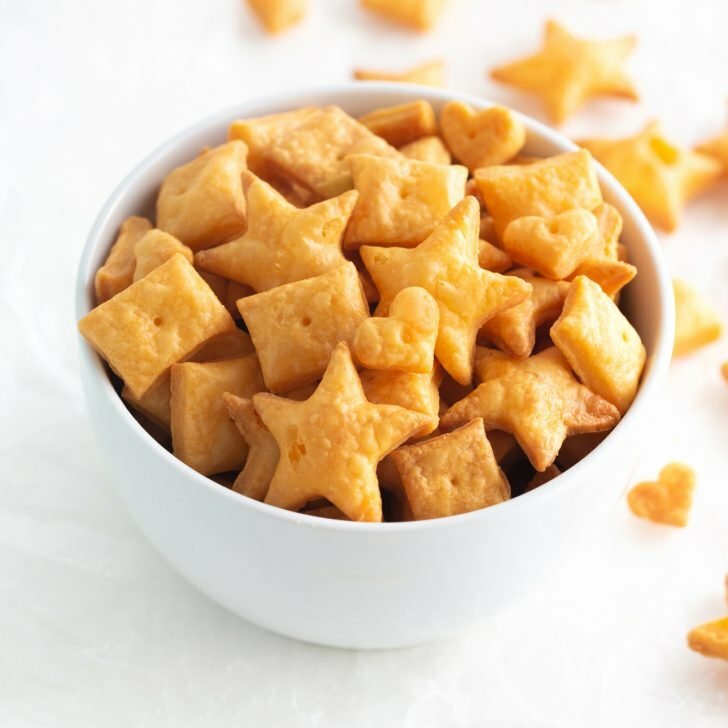 Like many drink recipes, have fun with the amounts of each ingredient you add. 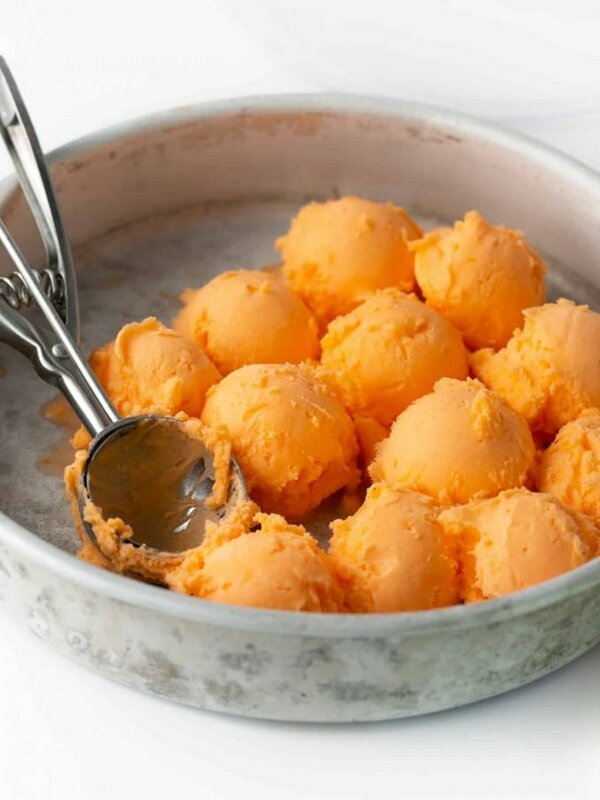 For example, if you like a more Orange flavor, add more sherbet or other types of orange juices. Summer may be over, but that doesn’t mean ice cream drinks have to go out of season. And while we’re on the topic of ice cream, is sherbet even considered ice cream? I don’t even think it is. All I know is that every time I have to type “sherbet” I am reminded that I thought it was spelled “sherbert” for a good 22 years of my life. Anyone have some unique punch recipes that are a go-to each holiday? My plan is to continue experimenting until I have a punch with each color of the rainbow. There are few things in life where you can throw random liquids into a big bowl & have it taste good, so I’m going to stick with what I know and call it a day. So much better than the box! Let me know how you like it! love it! 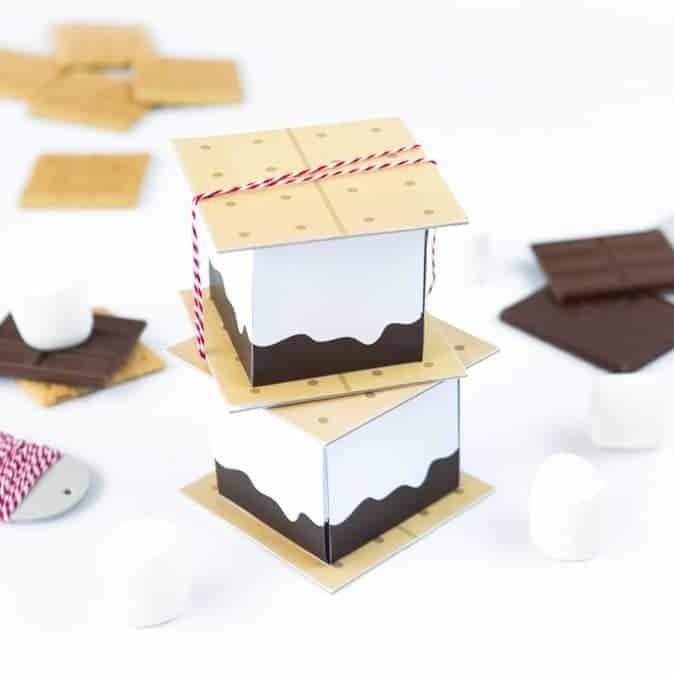 Gonna make some! Right now!